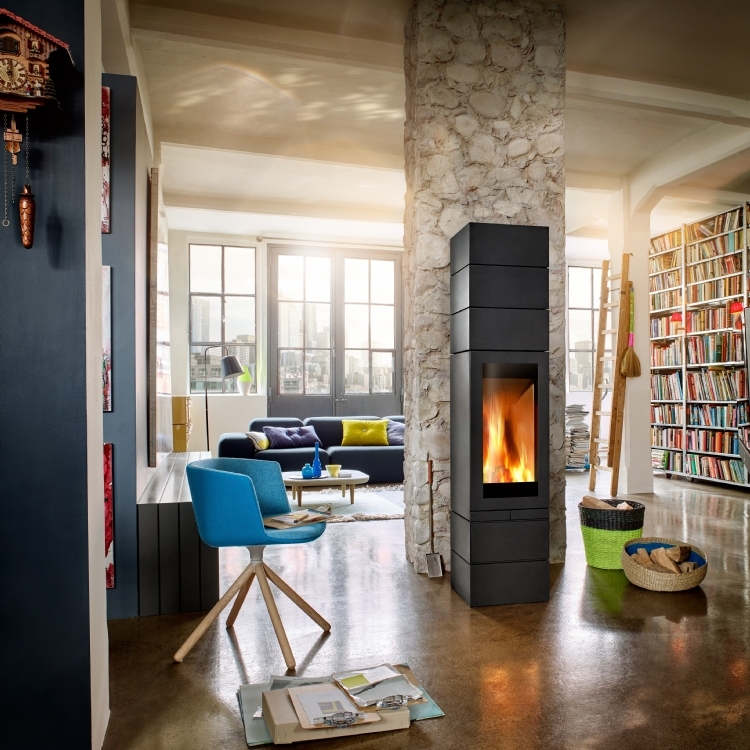 Kernow Fires are suppliers of the Skantherm Elements 603 Front in Cornwall. 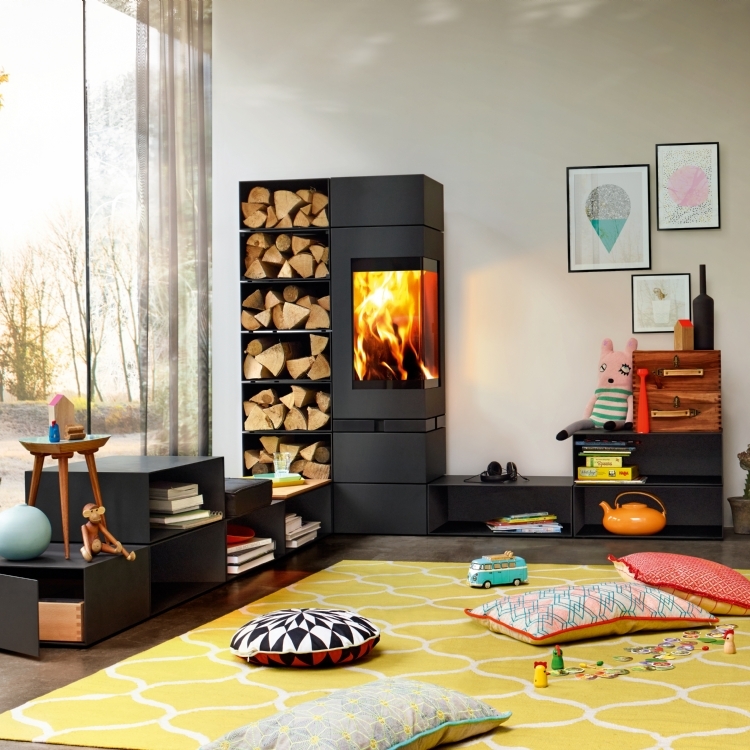 The Elements 603 Front creates a stylish ambiance and offers, thanks to the spacious combustion chamber, an optimum view of the flames and thanks to this wide chamber is happy burning large logs. 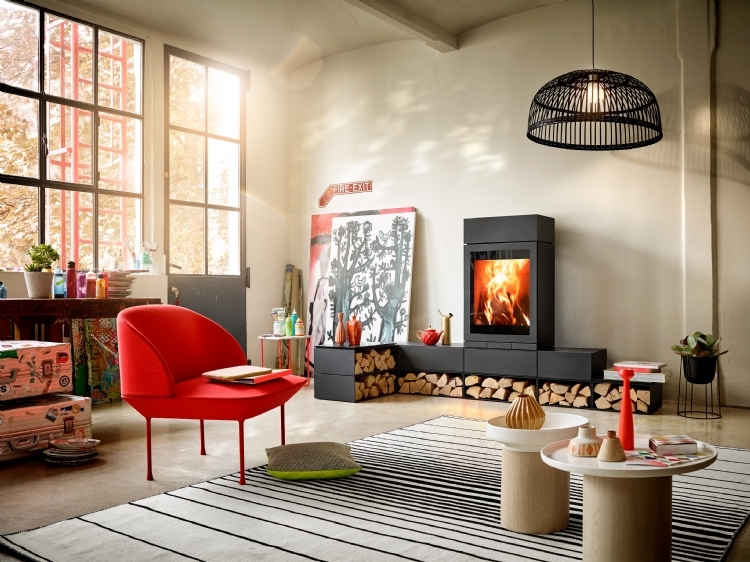 The stove has an elegant steel look and is the modern interpretation of a storage heating stove thanks to the optional 400 kg thermostone storage module, the heat can be stored for a long time and is released as pleasant radiant heat to the room.